A display at the 2018 PHS Philadelphia Flower Show. This year's PHS Philadelphia Flower Show may have just ended on March 11, but the Pennsylvania Horticultural Society is already thinking about next year. The theme for the 2019 show has been revealed and plans are underway. Florists will have to showcase "Flower Power" in their landscapes and arrangements next March at the Pennsylvania Convention Center. [The theme] "will celebrate the contribution of flowers to our lives and will play host to the Florists' Transworld Delivery World Cup, the world’s most prestigious floral design competition," according to PHS. The renowned competition will take place at the Flower Show, kicking off during the show's preview day on March 1, 2019. The new FTD World Cup floral design champion will be announced on March 3, 2019. 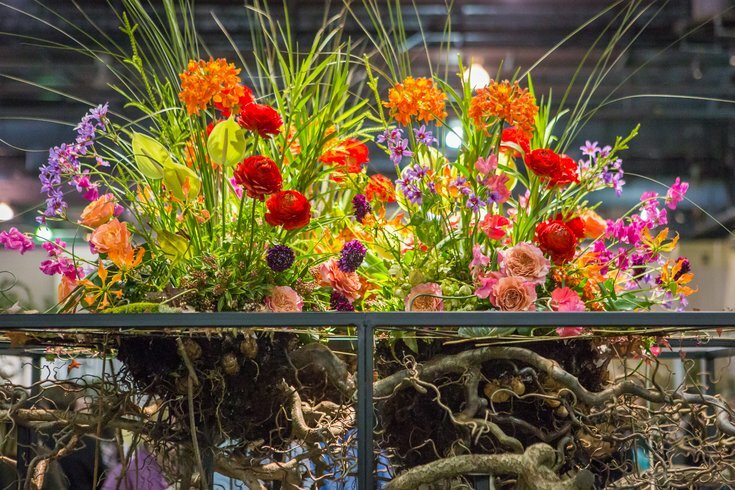 The 2019 Flower Show will run March 2-10 at the Pennsylvania Convention Center.